The Balvenie, producers of one of my favorite whiskies (the Single Barrel 15 year), has added this rum cask-finished expression to their permanent line. As always, it’s nice to see a distillery that is willing to expand its ‘standard’ line, rather than rest on its laurels. This expression comes after a limited-run bottling of a 17 year rum cask which had been matured in the cask, not just finished. There is also a golden rum finished version which is exclusive to travel retail. Nose: Golden raisins, green grass, marshmallows. More ‘white rum’ than dark. A little winey, like white port. A dash of water wakes up the dram – passion fruit, limeade, and bright florals. Palate: Medium-thick mouthfeel. Minimal burn gives way to round maltiness, sweet bakery goods, and a green vegetal note. Brown sugar. With the water, there is more green sugarcane. Finish: Medium-long, nice and oaky, with a distinct lack of bitterness. A bit of sassafras and molasses on the fade-out. Pleasant. 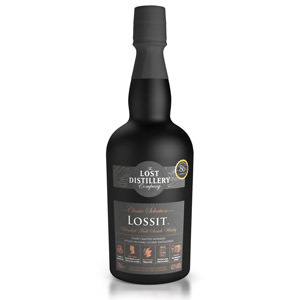 Overall: A nice, round whisky with an interesting twist. The rum doesn’t come through as “rummy”, but more vegetal and malty. In fact, the expected molasses note doesn’t appear until the tail-end of the finish. That said, it’s a nice, easy-drinking Balvenie with clear malt character. Unfortunately, I think this one is priced a little high, as it’s not significantly better than the (12 year) DoubleWood, which can be found for under $40, and it’s not as good as the (15 year) Single Barrel, which is similarly priced. If you do try a dram, I think the water amps up the flavor and reveals a full range of very nice Balvenie house characteristics. I suggest the water. Built by the Grant family in 1892 as a sister distillery to next-door Glenfiddich, The Balvenie still remains in the ownership of the family. Unusual for a distillery of this size, Balvenie still operates its small floor maltings, grows some of its own barley, and has an on-site cooperage. It now has eight stills, which some think are the key to its nutty, honeyed style – they are fat and have short necks. wow. the best single malt ever!! where can i find more?? 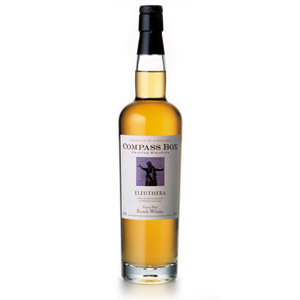 I’m not sure what you mean – I referred to this one as “pleasant” and “A nice, round whisky with an interesting twist.” – definitely not the best single-malt ever. In fact, I don’t think there is a “best” single-malt, just some that are better than others. Tried it last night…awesome and well worth the extra buck or two. 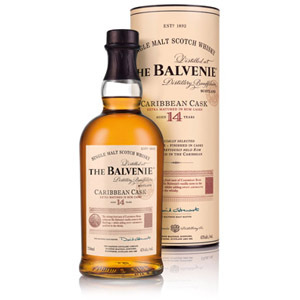 Back in October 2009, Serge of WhiskyFun reviewed a 14 year old Cuban Selection Balvenie. According to his tasting notes, it’s completely different from the Caribbean Cask with the rum notes being even more prominent on the nose. I have a feeling this version wasn’t released here because William Grant & Sons had some previous issues with the Glenfiddich 21 year old Havana Reserve (which had it’s name changed). First time I tried this after a friend introduced me. I was completely caught off guard at not only how smooth but at he exciting aroma and taste. I am really enjoying this. Still the best “Balvenie” of the line. I found a bunch and am buying as much as I can. All my friends love it. You need to bring at least two bottles to a party. Even non scotch drinkers become fans!! How does this compare to the “Golden Cask” sold officially only in Duty Free shops? I ask as the Golden Cask is a wonderful, but not the easiest to get ahold of. I’ve never had the Golden Cask, but I’ve heard that the 14 Caribbean Cask is a pale imitation of Golden Cask… of course Golden Cask is a LOT more money (somewhere around $100 I believe?). A drop of water, and let it set for a few, and this Malt becomes very nice. I collect Scotch and Rum and have about 100 bottles of each. I’ve got a full range of scotches from peats to milds, lots of 12 years up to 25/30 Macallan’s and a 1974 Glenrothe. I stumbled onto the Caribbean cask and I can say its been an absolute delight! It has become one of my favourites – which is hard for me to say. I’ve had it for a while and can’t remember where I bought it. 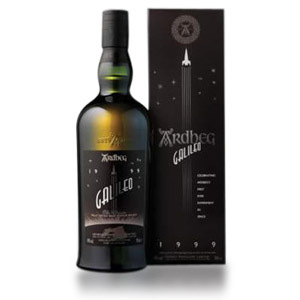 The Golden Cask at the Duty Free here is $72 but I’ve not had it before and was wondering what the difference was. I haven’t tried the Golden Cask – it’s tough to get travel retail (duty free) expressions when one doesn’t do much international travel. I do know that the Golden Cask is bottled at a higher strength than Caribbean Cask. Presumably, the Golden Cask is finished in casks that held gold rum, as opposed to silver. Great stuff. My current favorite. Havent tried the drop of water yet, but I see no reason to dilute this masterpiece. Let it burn in the back of your mouth. Complex, malty, some fruit, and of course the sweetness. Clean finish. To be savored. I bought a sampler that included this one, and I thought it was completely revolting. After trying the 12 year, I thought maybe I had wasted money as I figured the scotch was good enough to buy outright, rather than pay a higher price for the pack. However, I’m glad I did as there’s something very off to be about this. Rum doesn’t belong anywhere near scotch. 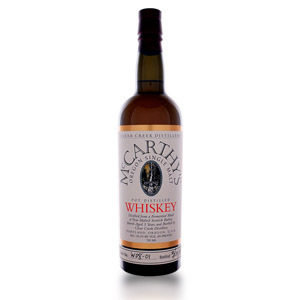 The island tastes coming through the leathery peat was like Pineapple tobacco. If the 17 can’t impress I think Balvenie gets a thumbs down. You obviously have no taste buds. This is one of the best I have had in years. Touch of water and sip till your heart’s content. The rum finish is so interesting to have in a fine scotch, just a hint of sweetness and takes me back to the Jamaica. Enjoy it so much more than many higher priced bottles on the market. I know it’s not politically correct anymore but try having it with a good cigar. Even better! Balvenie Caribbean Cask is the smoothest Scotch I have ever had. Very little “burn.” It is my favorite and I love it. This is the second scotch I ever purchased and still my current favorite! I find the entire experience to be satisfying from start to finish with the exception of the empty bottle that results. I taste zucchini, chocolate truffles, and spam. I don’t even like zucchini, but this is great whiskey! Two thumbs up! I wish I had tried it with water now. I had a dram at Urge last Friday and was underwhelmed by it. I always forget to add a bit of water to some whiskeys since all of my favorites I drink neat.